Subwoofers aren't just for certain types of music. Just about every genre can benefit from low tones that are clearer and louder. 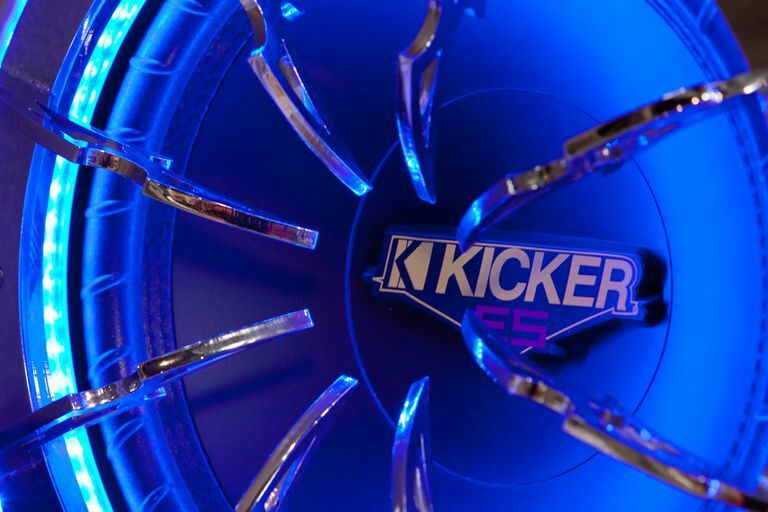 When most people think about car subwoofers, they think about bone-shaking, tooth-rattling bass. While that is a fair correlation, there’s a lot more to a subwoofer than just shaking the windows in any car that pulls up next to you at a stoplight. Low-frequency sounds are a big part of every type of music, so the realism of any sound system really hinges on its ability to hit the low notes just as much as the high ones. Some types of music will benefit from a great sub more than others, but adding some quality bass can bring any car stereo to life. The size of the sub is one of the main factors that determine how loud and low it can go. As a general rule of thumb, bigger subs produce better bass, so keep that in mind while looking for the ideal unit. Space is also a concern in automotive sound systems, though, so it’s vital to take measurements before you start shopping. If you’re looking for the boldest bass you can get, then you’ll want to go for the biggest sub that will fit in the available space. If you want bass that is exceptionally deep and doesn't sound like your sub is farting, then you should go for a sealed enclosure. In some cases, a smaller sub in a good, sealed enclosure will produce deeper bass than a larger sub in an open enclosure. This type of enclosure is great for tight, accurate bass that won’t necessarily shake your fillings loose. Ported and bandpass enclosures typically provide bass that isn’t as deep. In turn, they also provide louder sound. If you listen to music that demands extremely loud bass, and you don’t care all that much about accuracy, then you’ll want to look at one of these enclosures. The other option is to select a subwoofer that is specifically designed to work without an enclosure. These subs are typically mounted to a board that is installed inside a trunk. The trunk itself has to be relatively airtight because it acts as the enclosure. While the size of the subwoofer and type of enclosure are important, the stats you really need to pay attention to are the RMS value, SPL, frequency range, and ohms. The power level refers to the power handling characteristics of the sub, so a higher RMS value means more bass. A high RMS value is useless without anything to power it, though, so it’s vital to have a head unit or amplifier that matches (or preferably exceeds) the RMS of the sub. Sensitivity, which is expressed as a sound pressure level (SPL) number, refers to how much power the sub needs to produce a given volume. Subs that have high SPL ratings don’t require as much power to produce high volumes as subs that have low SPL ratings. That means you’ll want a sub with high sensitivity if your amp or head unit is underpowered. Frequency refers to the range of sounds that the sub can produce, so you’ll want to look for a unit on the low end of the scale. However, the actual sound you get out of your sub will depend a lot on the type of enclosure you choose. Since the enclosure can modulate the sounds that actually reach your ears, the frequency numbers of the sub may not accurately reflect its real-world operation. In order to get the most out of your amp and sub, it’s also important to match impedance. This figure is expressed in ohms, and it refers to the electrical resistance of the sub. Impedance is pretty straightforward, but it can get complicated depending on how a sub is wired, or if it has multiple voice coils.